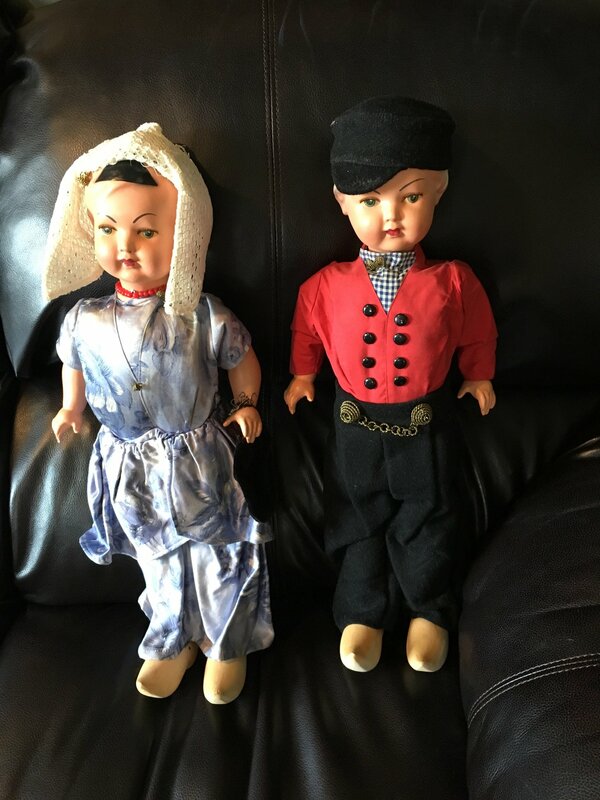 They are dolls that are about 2ft in high and are in the costume of Dutch children with the wooden shoes. They do move their heads when you move their legs. My name is ***** ***** I would love to help. and the marks on the back of her neck or shoulder. having a value of $40 to $60 for the pair. Some sites that I recommend for selling are Offerup.com (local), Varagesale.com (local), Wanelo.com, http://www.decluttr.com, Bonanza.com, Ioffer.com, Etsy.com, eBay and letgo.com (local). 80 year old Porcelain doll. Porcelain head, arms and legs.